Planning an event can be an excruciating task. It demands your full and undivided attention especially when the event involves a large quantity of participants. It needs to be carefully thought out in order to cover all aspects that needs to be considered. Be it a small or large event, you obviously want it to be perfect and make sure that your guests are well taken cared of. Therefore, it is important that you work with a capable team and is guided by a bulletproof event plan. 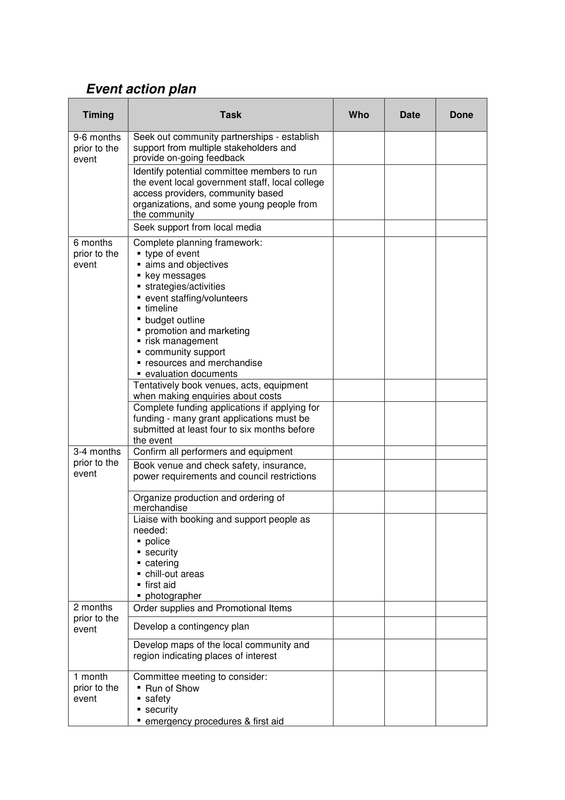 An event plan is basically the map that guides you and your team toward a successful implementation of an event. It guides you as to what should be done, how to effectively and efficiently do it, and so on. The event plan contains relevant information that can help with the success of the event such as its location, venue, venue design, people in charge, and so on. It helps divide the tasks needed to complete the preparation for the event as well as important requirements that should be accomplished beforehand. 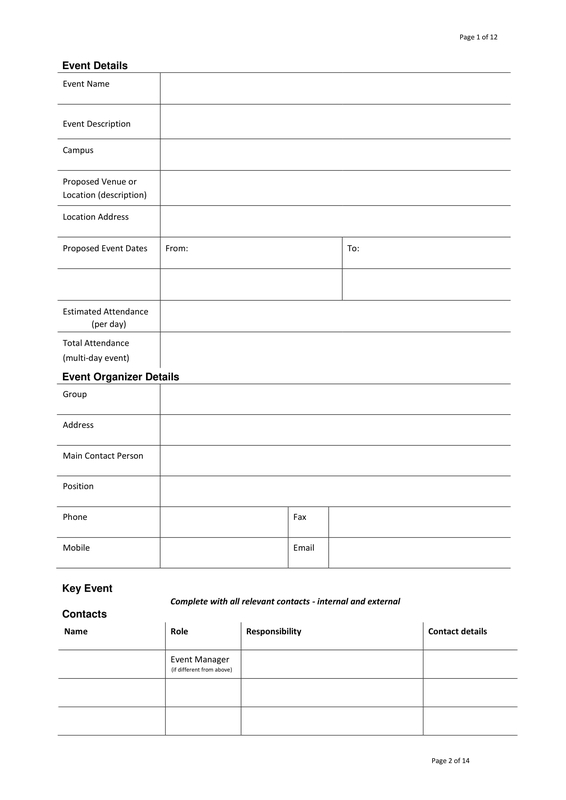 Essentially, an event plan is a key document that outlines all the significant elements of an event. By definition an event is a planned public or social occasion; it can be meetings, conventions, trade shows, ceremony, retreats, or parties. It is basically a gathering for the purpose of a celebration, education, marketing, business, or reunion. With the various types of event, this can also mean they can vary in size, and that can also mean that some events do not need that much of an extensive plan and some do. This is where event planning comes to play. Although the event you wish to host only holds a few people, you still need to map out all the things needed be done like securing a venue, making sure there is a caterer, ensuring that audio and visual needs are taken care of, securing a credible speaker, and so on. Planning for an event means that you need to understand why there is a need to conduct the event in the first place in order to plan it effectively. Event planning will help you prepare the necessary materials, carry out necessary procedure, comply necessary requirements, etc. 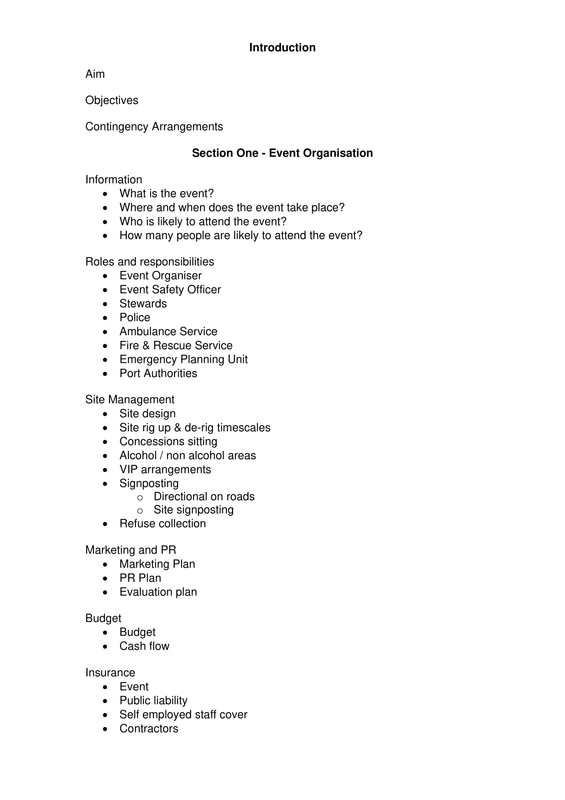 It also makes sure that an outline of the event is given and understood by the stakeholders of the event. 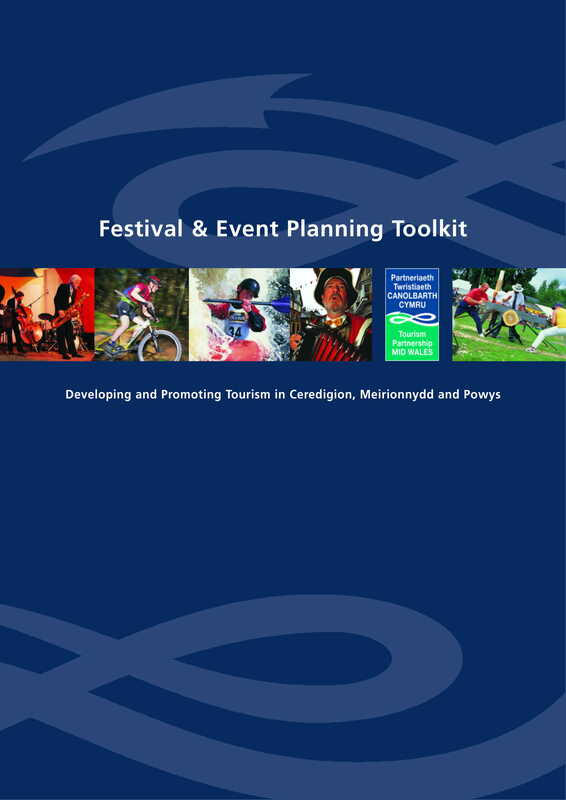 Not only that, even planning ensures that all relevant aspects to the event is considered and given an action. This means that through proper event planning things that can affect the event-proper are not overlooked. 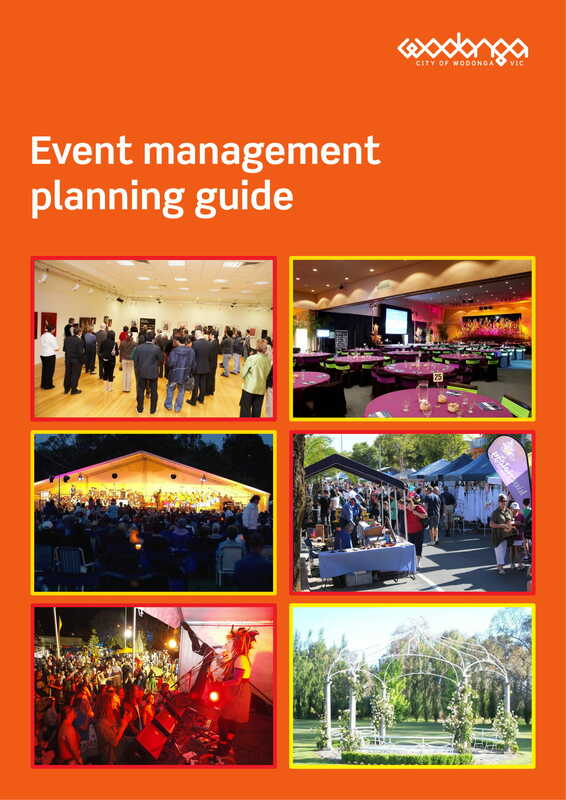 More than that, an event plan also acts as a key decision-support tool during the event. Since it is a map that guides those involve about the event, it also guides them when it comes to making decisions about how to carry out the plan and how to resolve issues should they arise. 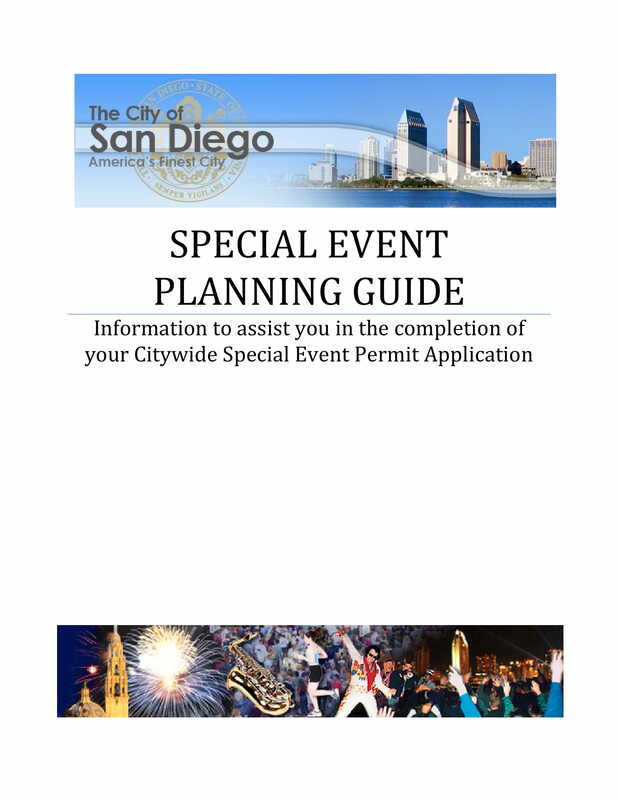 It is an important document that helps provide a solid outline that will lead to the success of the event. Social/ Life Cycle Events – These events have something about one’s milestones in life. It is basically a celebration of how far a person has gone. Examples of these events are birthday party, hen/stag party, graduation day, bachelor’s party, engagement, wedding, anniversary, retirement day, funeral, etc. Education and Career Events – Education fair, job fair, workshop, seminar, debate, contest, competition etc., are all examples of education and career events. As the name implies, it deals with educating and improving one’s knowledge and career. Sports Events – There are countless of famous sports events that you may know of. These events focus on showing sportsmanship and camaraderie between players of various teams. These events are as follows: Olympics, World Cup, NBA Playoffs, marathons, Wimbledon, wrestling matches, etc. Entertainment Events – These events are not only limited to those events in Hollywood, it is every event that brings entertainment to its audience through the display of artistic acts. It is basically a gathering or a show of people from the entertainment industry. Entertainment events come in the form of music concerts, fairs, festivals, fashion shows, award functions, celebrity nights, beauty pageants, flash mob, jewelry shows, stage shows, etc. Political Events – Political events are events that carry a political agenda, just like political procession, demonstration, rally, political functions, etc. The purpose of these events are to make a politician known to the public as well as share what agenda and plans they have when they are in office. A political event can also be a gathering of the decision-making body of the land to discuss significant and revolutionary topics. Corporate Events – Corporate events are events sponsored by business for its employees, business partners, clients and/or prospective clients. Conventions are corporate events intended for a larger audience, and conferences, meetings, or holiday parties are smaller versions of this type of event. Other examples of a corporate event are MICE (meetings, incentives, conferences, exhibitions), product launches, road shows, buyer-seller meet, etc. Religious Events – Events that celebrate religious times diligently followed by devotees of a certain religion are part of the religious events. These events are usually reoccurring every year. Some of these events are religious festivals / fairs, religious procession, Katha, Pravachan, Diwali fair, Dusherra fair, etc. Fundraising/Cause-related Events – Any event that can raise funds for certain causes are called fundraising/cause-related events. Famous examples of this type are auctions, gala, and even concerts, marathons can be held for that specific purpose. The earning for these events are usually donated to charities and foundations. 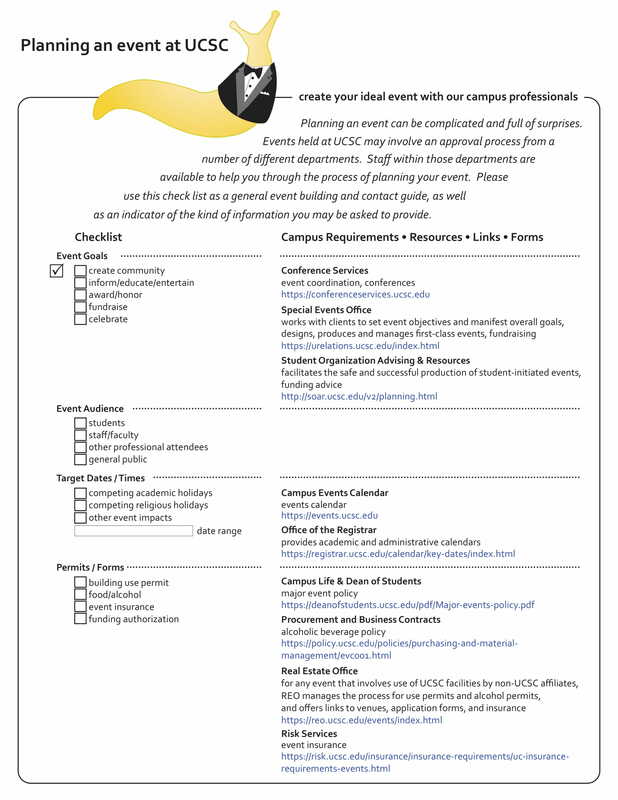 The blueprint for your event is a very important component to its success. It contains the basic outline of the event, the concept, and initial plans. It is essentially the plan for your event. Without the blueprint, you would not know what do do next after one task is completed. 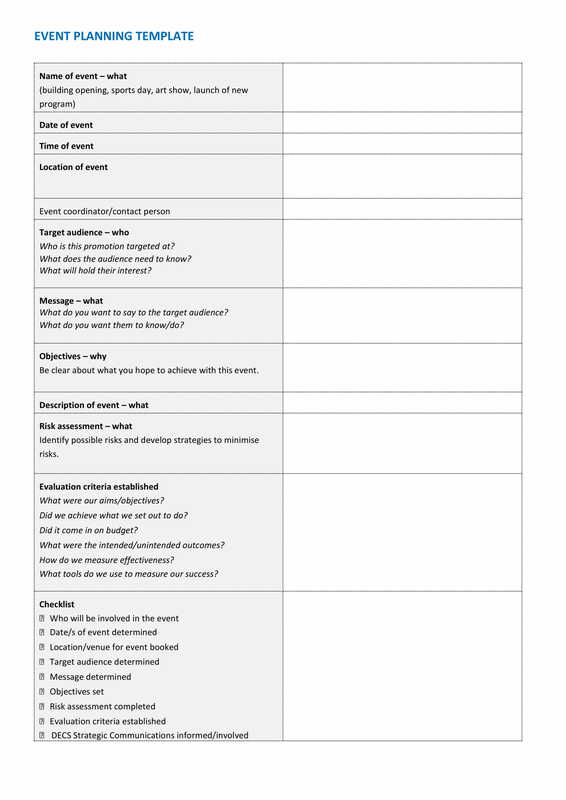 As mentioned earlier, the event plan will guide you and the rest of your team on what to do and how to do it effectively. An event will not come to fruition if there is not enough monetary budget. The blueprint will not come into reality if there is no budget to support it. However, it is also important to remember that although you already have the blueprint for the event, some of the inclusions may change depending on the budget. Therefore, it is important to determine the budget ahead of time since this is where you will tailor the other components to. In the same way, you also have to know ahead of time about the numbers you will be accommodating during the event. This way you will have time to strategize on the best way to handle the situation should there be a large flock of people heading to your way. You can prepare the best way to provide for their needs as well as their payment’s worth. The people and the program will help you make better judgments when it comes to choosing the right services and venue. Since you have an idea on who your attendees will be and what the purpose of the event is, you will have the advantage of choosing the location fitting to your event. No matter how you deny it, part of the decision why your participants and guests decided to join the event is the destination and venue of the event. With that in mind, you need to find a venue that best suits your purpose and at the same time a venue that is exciting and interesting for your guests. Not only that, you also have to find a venue that suits the nature of your event; if it’s a formal event, find a venue that is professional, reputable and accommodating, and so on. Since the blueprint already holds the concept you have for your event, you already have an idea as to how you want your venue and overall packaging to look like. However, you still have to somehow incorporate the design into the main purpose of the event. Impressing your guests with visual consistency will add more “wow” factor to your event. Not only that, it will make it the venue even more conducive for your participants. As the event planner, you can only do so much. This means you need a capable team and networks to help you deliver your best. It is always better to allot enough time to contact reputable suppliers. That way you can make sure that all your needs to make the event successful is delivered on time and with the right quality. AV, entertainment, decor, cuisine, etc., are critical pieces; there shouldn’t be any room for mistakes. However, choosing suppliers can be hard especially if you are just starting out. Therefore, it is important to find suppliers with good references. Another important component to a successful event is well-defined production schedule that keeps that whole team constantly informed. Holding regular meetings to discuss any updates or simply to review the plan will allow you and your team to identify challenges in advance and allows resolution time. The production schedule will let everyone know when the right time to deliver and finish each task, it will surely help you ensure that all you need are provided for and issues that may arise can be given immediate alternative solutions. In order to start and finish on time, you need to be able to call the shots on time. Timing is very important in this case since it will help everything be on track. On that note, based on the content and how much has been prepared in the present, you can make well-informed decisions that will help you find the perfect leeway. This can be done through constant review and checking the itinerary. Although you have made a great plan, there is still a possibility for things to not go your way. In that case, it is always better to be prepared. A contingency plan will contain alternative measures you can use should issues arise before and during the event. Being prepared for “what if” scenarios will do you and your event more good than bad. Therefore, creating a plan to help you resolve issues is always essential. Last but definitely not least, you have to enjoy what you’re doing. This does not mean to become carefree; on the contrary, it means to enjoy the moment as you see progress with your plan. Having a level head will help you make better decisions. Aside from that, if your team sees you relaxed, cordial, accommodating, and easy with your manner, it can affect how they work too. Planning for an event is a crucial step you should not take for granted. It can make or break the chances of your event of being successful. Therefore, make a plan ahead of time. 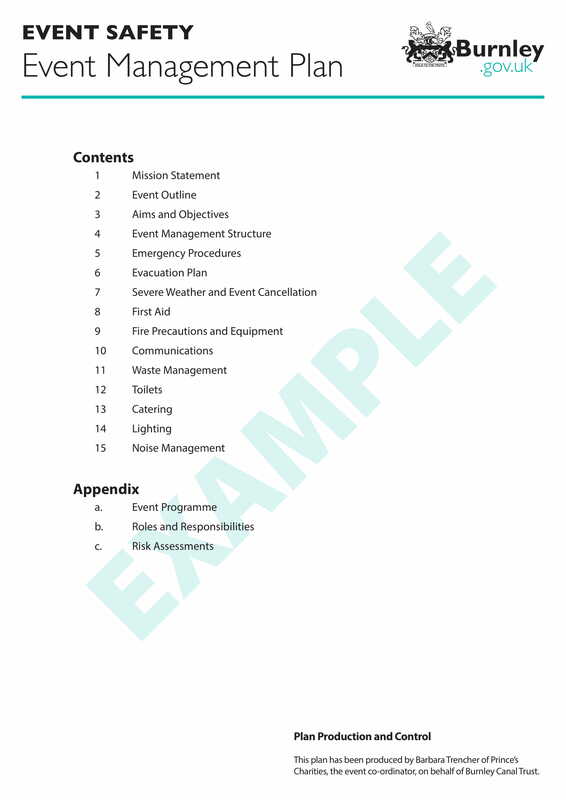 You can follow any format or template you want so long as you make sure that you cover all the essential aspects and components needed for your event’s success. 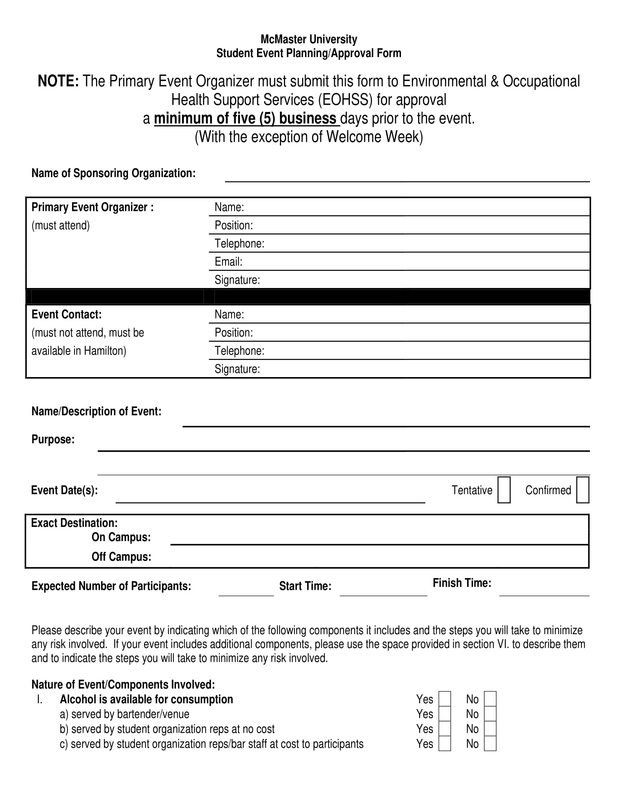 We hope you have learned useful information regarding event planning with this article.